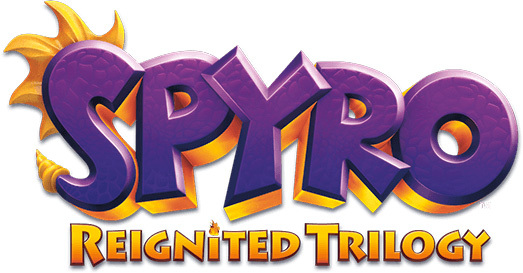 Developed by the same people that made Spyro's previous outing on the Nintendo DS, Spyro: Shadow Legacy, A New Beginning is similar of a similar style but not of gameplay. Much like the console and GBA versions of the game, the DS version plays out the same story and general feel to the game, interrupted by its own individual elements such as the crystal light minigames. Red Gems heal you, you'll find these in mushrooms, rocks, weeds, barrels, etc which you'll need to smash open with the stylus. Unlike the console and GBA versions of the game, you won't get these from killing enemies. Green Gems will replenish your breath, these drop from enemies once you kill them. Blue Gems will raise your experience which is used to better your elemental moves. Crystal Shards are white gems which appear after completing a light puzzle. Collecting all 40 of these in the game opens up extra rewards. Unlike the console version, your Fury meter goes up when you kill an enemy; there are no purple gems in the DS version. And unlike the console and GBA versions you need to do something extra to set off your Fury successfully. You need to touch the enemies in the order that targets circles appear around them when you start the Fury attack, if you don't get them in the correct order or fail to touch them all in time the Fury attack will merely damage the enemies rather than obliterate them. Throughout the game you'll learn new breath attacks and along with them a shield powerup each type of which helps you in a different way. From the Level Up screen you can put to use the blue spirit gems that enemies drop all over the place and improve the strength and length of the abilities. When you have at least one ability that is affordable to level up a blue icon will appear on the top screen. Throughout the game you'll come across lots of these puzzles which you will need to complete in order to turn off the magical fences and barriers that are keeping you hemmed in. Each puzzle will have a limited amount of mirrors to arrange on the board in order to redirect, split and change the colour of the light beams in order to hit all of the targets. Easy to kill but there are lots of them. Watch for his bombs. Touch his shield. Not terribly intelligent or mobile. And that just about wraps up all the information you'll might need to play the game. In order to solve the game though, you might want to view the solutions to all eighty of the puzzles available. How do you pass the valcano level??? Angler fish and Nataloids annoy the c**p out of me!!! Curse them to their very soul!!!!! This game is really good. The angler fish are annoying but just target them and use the secondary thunder attack and it will perish! Why there are Apes in there is what I want to know. I hate hate hate angler fish. I don't like Fire Beetles either. Why are THEY in Convexity. Complete the first set of Extra Puzzles to get more shards.